The results from a national survey of participants in a national engineering design competition are in: students who participate in the Real World Design Challenge (RWDC) are much more likely to enter undergraduate and graduate programs and many are entering the aerospace and defense workforce. Having now completed its tenth year as a national Science, Technology, Engineering and Mathematics (STEM) competition, and four years as an international competition, RWDC, also known as “The Innovation Engine” has challenged thousands of students to rise to the challenge of solving some of our nation’s most pressing engineering problems. “RWDC Students have been designing Unmanned Aircraft Systems with a mission of precision agriculture. By 2050 it is expected that there will be an additional two billion people on earth. With current food capabilities it will not be possible to feed those additional people. RWDC students are learning how to apply the most innovative aviation solutions to address a social problem their generation will have to solve,” said Dr. Ralph K. Coppola, President RKC International & Founder Real World Design Challenge. And opening the door to many education and career opportunities. The report provides a comparison between RWDC participants and students in the general population. According to the survey, 99 percent of RWDC participants pursue undergraduate degrees, versus 70 percent of the general population. According to the survey, 18 percent of RWDC participants pursue a graduate degree, compared to four percent of the general population. The RWDC is the result of two years of focused research on how best to close the STEM workforce skills gap. 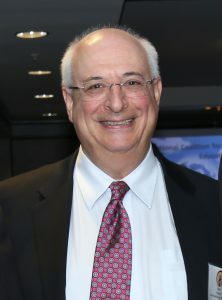 Ralph Coppola, the inventor of RWDC, consulted with a group of 80 business, governmental and education organizations that have been focused on STEM education. Dr. Coppola found that industry sought employees with excellent academic backgrounds with years of “real world” experience. In the course of this research, a question presented itself: Could the necessary experience become a part of the secondary school curriculum? The goal became to “engineer” an engineering experience for high schools students. “We choose to focus the Challenge at the secondary level for the following reasons: It became clear that intervention at the high school level could help to set the trajectory for students into STEM. One goal of the program was to support the STEM career development and to do that it was necessary to require a high level of academic rigor. Students needed to have knowledge of algebra to apply data analysis to optimize their solutions. In addition teamwork is required to solve complex engineering problems. Students at the secondary level have the maturity to make learning to operate in a team environment with a division of labor more effective than working with younger students,” Coppola said. Experience teaches that the engineering design process is at the heart of engineering learning. Thus, design became a central component of the program. It also became apparent that students couldn’t rise to a level of competence without being challenged. And the whole thrust of the endeavor of creating an environment had to be based in real world experiences. It was thus that the Real World Design Challenge was born. In the past decade, Challenge participants have cut across a number of demographics. More than 30 percent of those participating have been female. The geographic representation has been fairly evenly split, with 31 percent located in urban areas, 43 percent in suburban areas and 26 percent or participants from rural areas of the country. The survey provides information about the challenge itself and emphasizes that there are no prerequisites for participation other than participants are in grades 9 through 12. Additional outcomes results from the survey show the value of the RWDC experience. According to the survey, 62% of RWDC participants took bachelor’s degrees in engineering, compared to only 5 percent of the general student population. Recently the RWDC has expanded to include an international component. Students from China have been participating for the past 4 years and several other nations have made inquiries about participating. “At first it was not clear that implementing the RWDC in another country with a different language and culture would work. It turned out that the RWDC works as well in other countries and with advantaged and disadvantaged students. The key to success is motivating the students to be able to work hard to overcome significant problems and persist until they achieve their goals,” said Coppola.